Hellooo, Jane! Thank you so much, it's LOVELY, my friends were with me when I picked it up, made everyone jealous! Katerina Nikoltsou (MomKat) one of yours? Or is that another of Jane's? 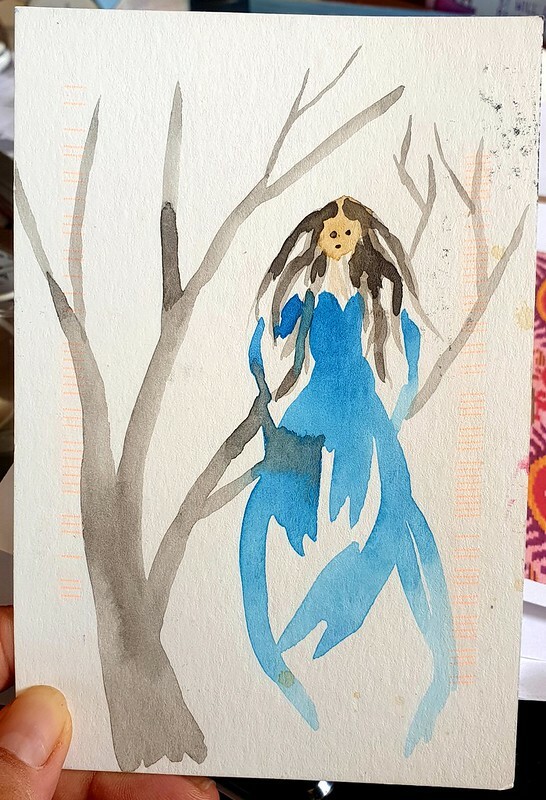 Women in trees, fish and trees, ballgowns in trees...an idea whose time has come :) by the way, sent you something t'other day...it will be a while getting to you, I guess. Yes, thinking the same MaoMao. Nice to send and receive something local but it does seem ever so slightly more exotic to get overseas mail. Haven't come across too many active Aussies yet. Certainly like to see more Aussie content especially in the Add and Passes. Thinking of sending you something soon. Been trying to sus out what you like, to be honest... ;) Starting to get an idea. See you in the mail soon, I promise.